Hello PND friends, Racquel here to share a shaker card using Emma with heart balloons. I am starting to work on valentine's projects and this cutie was perfect to get me started. I colored the image using copics and cut her out using the brother scan and cut 2. 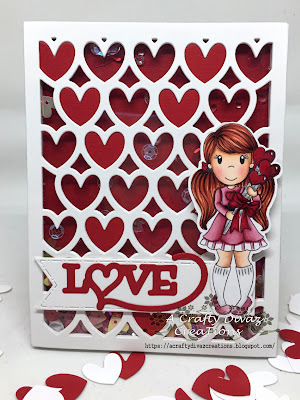 I used the all heart cover panel to create the shaker panel. I inlaid some of the hearts from the heart cover panel into the card for added dimension. I used the stitched flag banner from stash to attach to the front panel of the card. 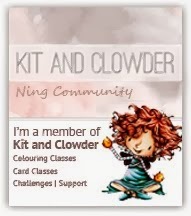 I finished the card off by adding the love sentiment to the flag banner. That's all I have for you today, thanks for stopping by. Don't forget to check out the shop for this month's new release. Have a great weekend.